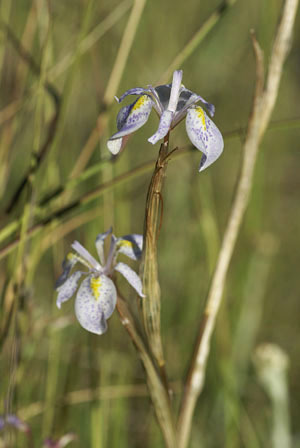 Kuilfontein Farm is not the sort of place that one would expect to find a common British garden plant to be growing. 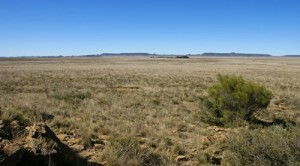 The Karoo is a generally harsh environment, where most plants barely get over a foot tall, either because of the shallow soil, the lack of rain or the constant grazing. 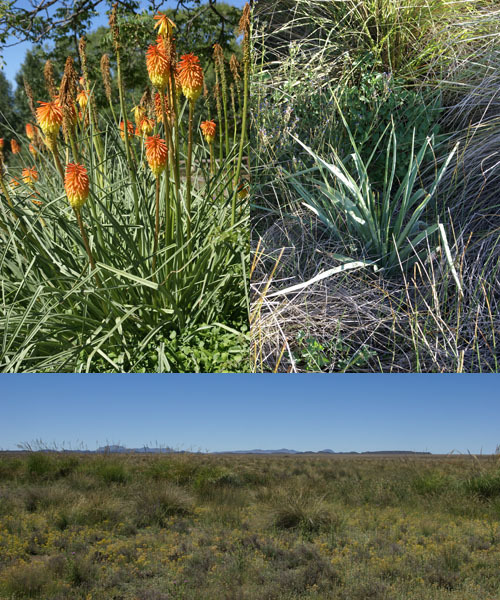 Nevertheless, in the late 1800s a Mr Tuck was asked to visit Colesberg with the intention of collecting a specimen of Kniphofia by the father of all Kniphofia breeding Max Leichtlin. A specimen had previously been collected here by a Mr Shaw, but had been wrongly identified as K. pumila, which is a quite different Ethiopian species. The plant collected by Mr Tuck was grown on by Max Leichtlin and from there distributed to the horticultural world, whereupon J.G. Baker of Kew named it K. tuckii in honour of the man who went to so much effort to collect it. What happened next to the plants received by Leichtlin is less clear, but the plant widely grown today as ‘Atlanta’, one of the most well-known Kniphofia, and certainly one of the first to flower, possibly has its origins from that same gathering. Being spring flowering, I did not expect to see the plants flowering. There were pokers in flower at the entrance to Kuilfontein Farm, but these were garden hybrids. It was nevertheless good to see where the species grew: in seasonally marshy ground, known as vleis. I guess it is their ability to cope with the occasional waterlogging of that habitat that helps the plants survive our British winters when most species in this area would succumb (the temperatures here can drop to -10C in winter). The photo below shows the cultivated plants at Kuilfontein Farm, a rosette of K. tuckii growing naturally in the vlei, and a view of the vlei itself (note the tall grasses marking the area of more moisture). 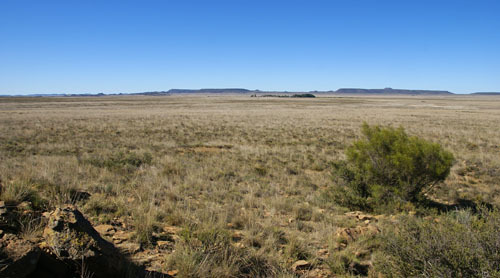 K. tuckii is now regarded as belonging to K. ensifolia, but it is recognised that the Colesberg form is distinctly different from most other populations of that species. Maybe one day, Mr Tuck will regain the honour of his poker as a distinct species. Plant of the day: I only spotted one plant of this little Moraea. This is the one place that I am visiting for which I do not have a field guide for the flora, so further identification will have to wait. Animal of the day: Springbok – I was very tempted to choose the Karoo lamb that I had for my supper but it has to be the national animal of South Africa. The sight of these graceful antelope as they pronk across the veld is so symbolic of the Karoo.